This hotel matches the family run, that ensure the familiar hospitality together with modern, efficient and complete services certified also from the Michelin Guide. 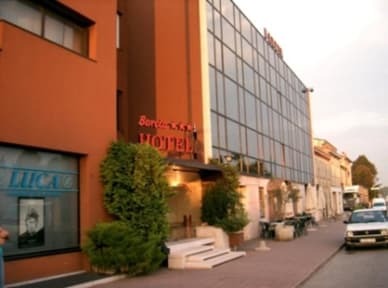 Hotel Bareta is situated in Caldiero Terme on the national road (SS11) that connects Verona to Vicenza. Easy to reach from the highway A4 direction Venice exit Soave or Verona Est. Our position is ideal to move to Verona (10 km. ), to the Garda lake or to all mayor cities of Veneto. 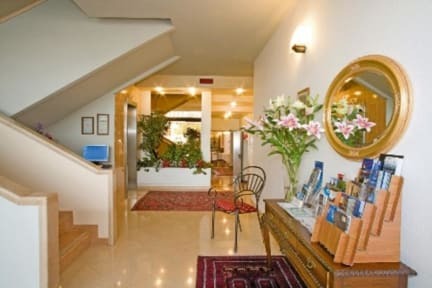 The ROOMS are quiet because not on the street, have a small balcony and modern style furnished. All rooms are air conditioned with TV, TV-Sat., telephone, Wi-Fi connection, minibar, pillow card and bathroom with shower, hairdryer and all toilette necessities.